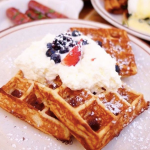 You can't be a savvy Bostonian without having a few great brunch spots in your back pocket. This list of restaurants nestled in the historic South End is fantastic to break out when you need a cozy meet-up with friends, a place to impress out-of-town guests or if you are experiencing an emergency that only eggs Benedict and waffles can fix. The South End is a great neighborhood to wander around to work off some of meal too - perfect for a lazy Sunday. 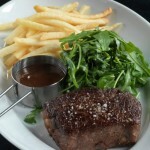 This urban bistro is known for their steak dinners and cocktails, but they also serve brunch on Sundays. 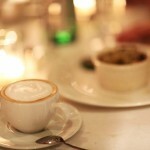 Enjoy the raw bar and the Chops "House" Cappuccino with Bourbon, Amaro and Chocolate. 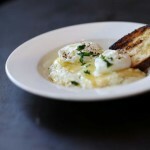 Their egg dishes are made from cage-free, certified humane eggs. The Beehive is known for their jazz brunch and beautiful terrace. One of the "Top 100 Jazz Clubs in the World" (Downbeat Magazine), they also serve a mean brunch with options for the whole family. Looking for a Brunch with class? This hidden restaurant features and outdoor terrace and simple Italian cusine. 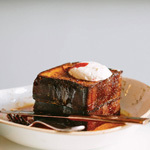 Check out the prix fixe option or enjoy your authentic espresso and caramelised grapefruit. 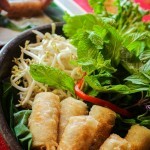 Certainly not your usual brunch spot, the Elephant Walk offers French-Cambodian fusion dishes. They offer gluten-free vegan options. Pick this spot for a brunch that's unlike any other in Boston. Get here early, Gaslight is incredibly popular with shoppers at the near-by SoWa Summer markets. Choose from French Brasserie options like crêpes, omelettes and half-shell oysters. Impress your guests with this little piece of Paris. J.J. Foley's has been a family-run restaurant since 1909, making Foley's a cultural institution. Always full of locals, Foley's is a casual spot to watch a game. 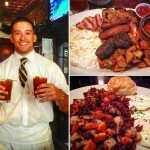 Try their heart-stopping full Irish breakfast, it will keep you full for the next day or two! Sunday Brunch at Liquid Art House has never been better! Get a free Bloody Mary or Mimosa with any entree, like our Cinnamon Raisin Stuffed French Toast with maple and cream cheese pastry cream. Masa is one of the only Restaurants in the South End to offer brunch with a South West flair. They offer a selection of breakfast tapas and cocktails. 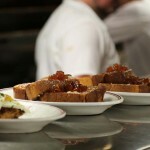 Named a 'Best Brunch' spot by the Boston Globe, try their 2 course Brunch Fiesta for only $9.95. The Metropolis offers a quality traditional brunch. 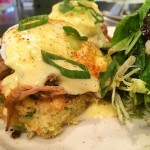 Award-winning options include triple-stack pancakes and decadent egs benedict. This cozy, casual café will soon become a favorite. The bright and airy Stephi's On Tremont is just as popular as their other locations. 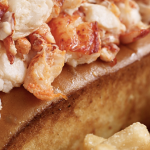 Get New England favorites like the Lobster Salad Roll. Tremont Street is the perfect street to stroll along after brunch for a little window-shopping. Tremont 647 is known for their $3 Taco Tuesdays but their brunch is becoming as popular. 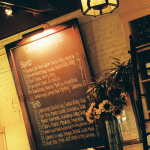 Tremont 647 prides themselves on adventerous American cusine, fresh ingredients and a 'fun and funky' staff. Possibly the only Boston spot to offer 3 chile Poutine Fries or Homemade Pop Tarts.